organizations. For “My Health. My Voice.”, CPN partnered with Destination 2027, a campaign to improve health equity. 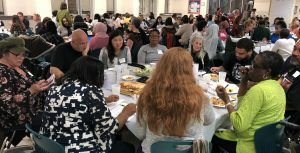 Community leaders gathered in Wakefield high school’s cafeteria to learn about health inequities in Arlington. The experts? 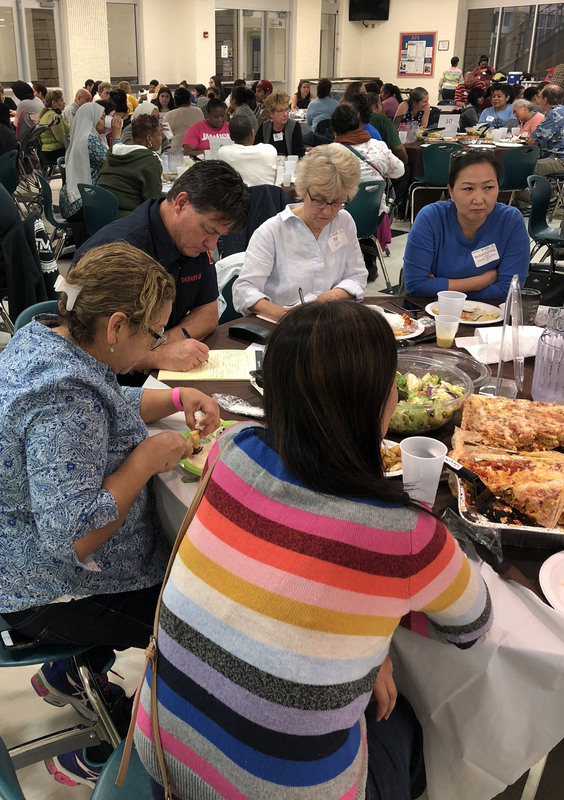 A multicultural assortment of Arlingtonians, discussing barriers to health care and wellness. Over 100 low-income members of the community came to discuss being healthy in Arlington. Volunteers facilitated conversations and recorded ideas. The tabletop conversations and room-wide discussions will be compiled into a report, which will be shared and disseminated throughout the community. lderly man. Several cited concerns with housing stability, as rents in Arlington continue to rise. Access to healthy and affordable food was also noted: the disappearance of low-cost grocery stores, school lunches, and the convenience and cost of fast food over time-consuming, home-prepared meals all contributed to less healthy eating. Many challenges were acknowledged that evening. The participants were eager to recognize the supportive services in the community. “What works in the community?” a facilitator asked the room. “Arlington Free Clinic!” a participant said, and cheers erupted. The room applauded caseworkers, green spaces, and Arlington Public Schools for being supportive. The night ended on a hopeful note and with suggested solutions. A report with findings and recommendations will be released in the near future.